Insomnia is more than just a bad night’s sleep. It’s an ongoing struggle to fall asleep and stay asleep. While many of us sometimes wake up feeling like we could have slept better, insomnia is much more serious. Sleep deprivation is no joke. It can affect every area of your life if you don’t take action and look at the ways to overcome insomnia. Do you have insomnia? You might not even recognize some of the symptoms, especially if you’ve been struggling with this disorder for a long while. Most adults need around 8 hours of sleep each night. If you have any of the following symptoms, you might want to consider sleep coaching to get to the bottom of your sleep disorder. While some of these symptoms will vary, it’s important to take insomnia seriously if you suspect you’re suffering from this sleep disorder. This guide will share 6 different ways to overcome insomnia so you can finally get a good night’s sleep. Bedtime schedules and bedtime routines aren’t just for little kids. 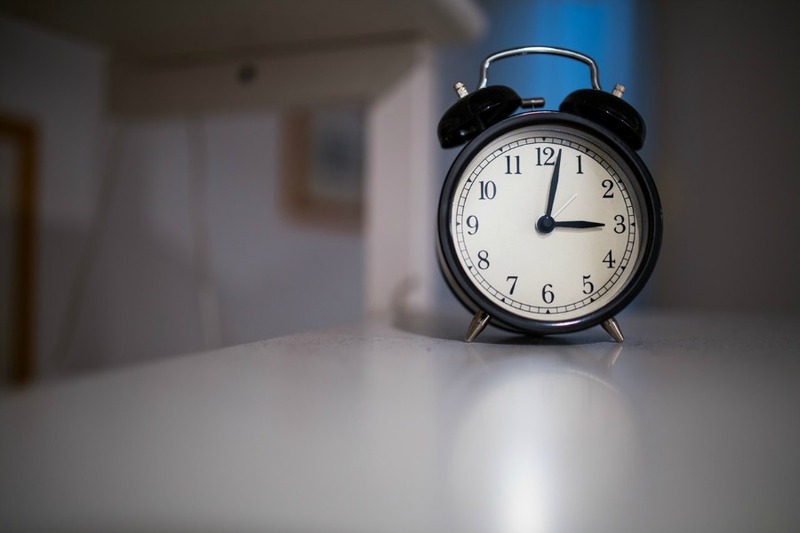 Adults can benefit from a set sleeping schedule just as much as children. As we age, we tend to let our nighttime activities get the better of us. We might stay up watching Netflix or simply get distracted working on something. This makes it hard to condition your brain that it’s time to go to sleep at a certain time. If you go to bed at 1 a.m. on weekends but try to immediately switch to 10 p.m. on weeknights, you’ll quickly find this doesn’t work. Your body needs a rhythm. Sticking to a strict bedtime on both weekends and weeknights will make sure your body knows when it’s time to wind down. We’ve all spent hours tossing and turning in bed. This only increases our anxiety, not the other way around. The longer we lay in bed, the more likely we’ll feel stressed about sleeping. 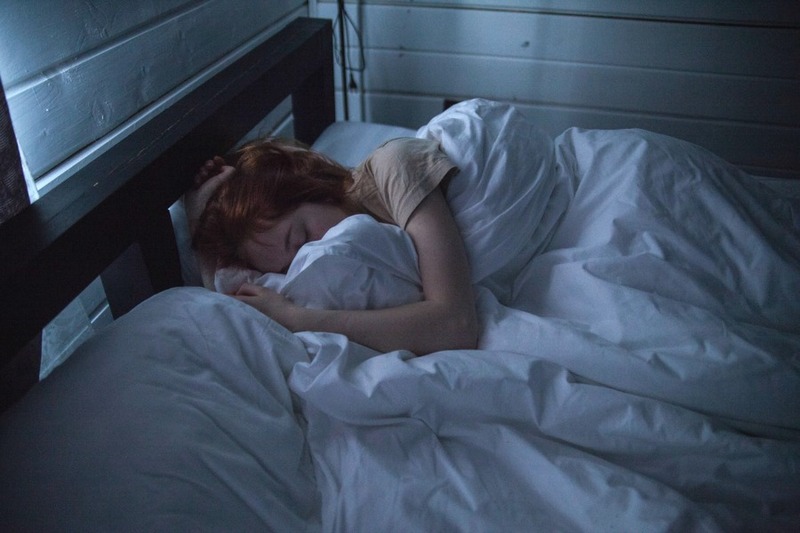 You might think that staying in bed will help you eventually fall asleep, but you’re actually teaching yourself a dangerous sleep habit. By allowing yourself to toss and turn until you fall asleep, you’re conditioning your body that this behavior is normal. You’ll naturally start to feel stressed at bedtime expecting this pattern to continue. Instead, use the 20-minute rule. This rule states that after 20 minutes of not being able to fall asleep, remove yourself from the situation. Go to another part of your home. Distract yourself with something passive like watching TV re-runs or reading a book. This will “reset” your brain so you can head back to bed when you feel yourself dozing off without that anxiety. While you shouldn’t rely on harsh medications to get a good night’s sleep, there are some supplements that offer a natural alternative as one of the ways to overcome insomnia. The most common and easy to find is melatonin. Melatonin is naturally produced in your body to help you calm before sleep. Sometimes your body doesn’t produce enough to make sure you fall into dreamland comfortably. You can find melatonin supplements at your local pharmacy. These come in different doses, and you can take them before bedtime. They’re a natural, addiction-free option for feeling that much-needed drowsiness before going to bed. Another of the suggested ways to overcome insomnia is to try relaxation exercises. These help you relax all parts of your body from head to toe so you can prepare for sleep. We all sometimes struggle with stiff muscles that are still wound up with the day’s tension. Some basic relaxation exercises can be done on your own, without the assistance of a doctor. You might want to combine them with breathing techniques or even meditation to help calm your mind for sleep. While many sleep therapists recommend against naps if you’re trying to sleep better at night, short naps can sometimes have the opposite effect. If you’re struggling with severe exhaustion throughout the day, your body might need this small reprieve to function. Don’t be afraid to take a short, 20-minute nap throughout the day. The trick is to time your naps appropriately. If you take them too early or late in the day, it can interact with your sleep schedule. The best time to nap is between noon and 3 pm. These types of naps have the positive effects of boosting your energy and lowering anxiety. All of this will help you get a better night’s sleep when bedtime rolls around. If you can’t fall asleep for a nap, just use the quiet time to rest. Suffering from anxiety leads to poor health and frustration. It’s essential you create a sleep schedule that works with your body. If that means taking daily naps, don’t be afraid to do that (as long as they’re in moderation). Additionally, you might need a natural supplement to help your body do its job of calming your mind. The goal is to ease your stress around sleep time, and make use of the above ways to overcome insomnia.